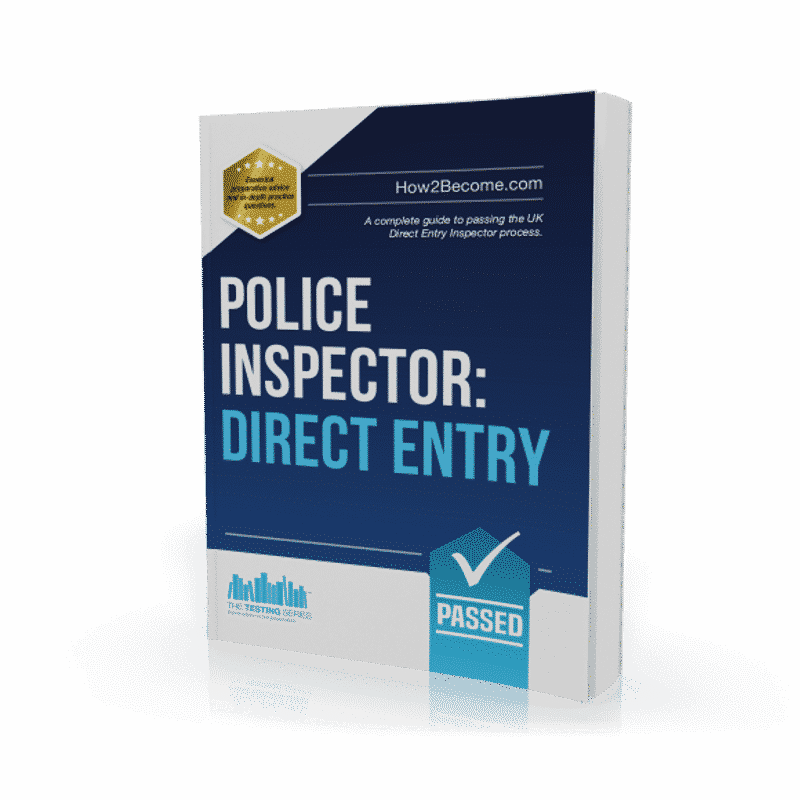 How to Pass The Police Inspector Application Process: Direct Entry is the ultimate resource on how to ace the direct entry police inspector application process. From the application form, all the way through to the assessment centre itself, we’ll provide you with our expert insight on what you can expect, and the best way to prepare for it. 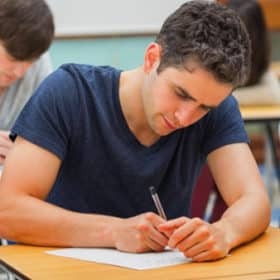 Along with this, we’ve also provided you with numerous practice tests, to help you improve your ability. By the end of this guide, you will be in a fantastic position to tackle the police inspector application process. What Is A Police Inspector? • Conducting regular reviews of police practice, to ensure that the service is working to its maximum potential, and to identify possible improvements. Police inspectors don’t just work for the police service. The British Transport Police and the Ministry of Defence both make full use of police inspectors, in their day-to-day activities. In recent times, the best way to become a police inspector was through working in the force itself, and rising through the ranks. While this is still a very viable method, the police have now introduced a new system, to help capable individuals reach the rank of inspector. This system is known as Direct Entry. The Direct Entry Inspector programme is a 24-month, comprehensive training course, which will teach you everything that you need to know about working as an inspector. By the end of the course, you will be qualified to work as an operational inspector. You don’t need to have worked within the police service to take this course, although it is essential that you can demonstrate certain skills and qualities. This test is not marked, but will certainly give you a better idea of what to expect. The next stage is an online application form. This is an extremely in-depth form, where you will be asked to answer a number of important questions. Along with providing personal details about your background, you will need to answer competency-based questions. In our guide, we’ll give you a full breakdown of how to respond to these. Finally, if you pass all of the previous stages, you will be invited to attend an assessment centre. Unlike other assessment centres that you might have experienced or have knowledge of, this assessment centre will take place over a couple of days. You’ll take a wide range of tests, and will conclude the assessment centre with a face-to-face interview. During the application form stage, you’ll be asked some competency-based questions. Competency-based questions are a series of questions that are designed to test how well you understand and have researched the core requirements of the police. Although it’s obviously essential that you can meet the core eligibility requirements, this is also your first chance to create a great impression with the assessors, and show them that you are the right person for the role. Below we’ve listed two typical questions that you might encounter. Click on each question to see our sample response! In 200 words or less, describe how impartiality is integral to the role of a police inspector? Having conducted thorough research into the role of a police inspector, I fully understand the importance of impartiality. As employees of the police, we have a duty to treat every person that we meet in a fair and unbiased manner. This doesn’t just apply to the public, but also to our own staff members. As leaders within the police force, it’s important that inspectors can operate in an impartial manner. Only by treating everyone fairly, can we gain the respect of the public and our colleagues. The police are there to protect everyone, and not just certain members of the community. For this reason, it’s essential that we can demonstrate impartiality in all areas of our work. Personally, I am someone who believes strongly in this. I am of the belief that everyone deserves to be treated in a fair and equal manner, and am always ready to challenge discrimination or bias when I see it. My rule is to treat others as you would like to be treated, and I exercise this view in all areas of my life. In 200 words or less, tell us why public service is important to you? Public service is really important to me. I believe strongly that the best way for society to function is to have services, such as the police protecting the interests of the public. It’s important to have organisations such as the police in place, to provide security and safety for the general public. Skills such as customer service and communication, as well as being able to understand the differing needs of different communities, are integral in this. This is especially important for inspectors, who are tasked with organising investigations and planning community policing projects. Thus, it’s essential that you have a full understanding of the requirements of each community, and how inspectors can use good public service to meet these requirements. As a professional, I have spent the majority of my career in customer service roles, therefore I have a great deal of experience in managing related situations. I firmly believe that I can transfer these skills into the role of police inspector. As you can imagine, the police inspector application process is extremely popular. You can guarantee that they will have hundreds upon hundreds of applicants for the role. This means an awful lot of applications to sift through. Naturally, the police can’t send through every single person who applies – as there simply wouldn’t be room. With this in mind, it’s important that they can sift out candidates who might not be right for the role. A telephone interview is far more cost-effective and efficient than screening hundreds of applicants at an assessment day. The police inspector telephone interview is largely focused around competency-based questions, and gauging your motivation for working as an inspector. 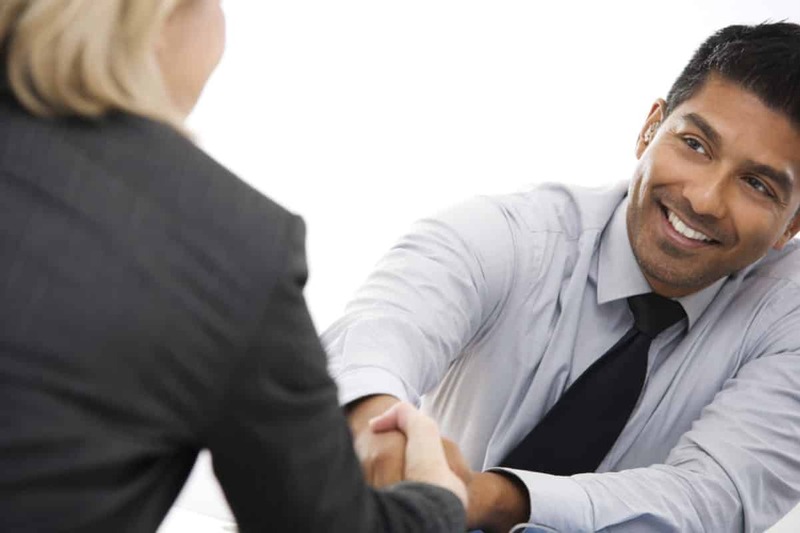 This means that your interview will actually be fairly similar to what you will experience in the actual physical interview stage, or indeed any interview for that matter. While you will be expected to have a good knowledge of the role, and the core competencies, there won’t be any questions particular to ‘phone interviews’ that you have to watch out for. Below, we have laid out a typical series of police inspector telephone interview questions, along with some tips on how to answer them. Click on each question for top tips! Could you tell me about why you have applied for the role of a Police Inspector? One of the aims of the telephone interview is for the police to gauge your interest in the role. This doesn’t have to be a lengthy response, just make sure that a) you convey a genuine interest and give good, logical reasons for wanting to work there, and b) match your response with what was put on the application form. In order to ensure you do this, print off your application form prior to sending it off, and then have a copy next to you when you are speaking to the interviewer. Remember to keep your answer sensible. For example, an answer that lists, ‘I want to drive around in a car with flashing lights’ or ‘I like the uniform’ as reasons for wanting to work as a police inspector is unlikely to impress the interviewer. Keep your answer short, concise and realistic. Try to show the interviewer an awareness of current events that the police are dealing with. A good answer to this question will bring up important issues such as leadership, making a difference to the community and safeguarding the public. What do you know about the role of police inspector, and what is it about this role specifically that attracts you? In this question, the interviewer is looking for confirmation that you understand the requirements of the role, and some indication that you have performed research into exactly what the role involves. Working as a police inspector is often difficult and stressful, and you will be under large amounts of pressure. Therefore, it’s really important that you know exactly what you are applying for. If you have not bothered to research the position by this point, then it is likely that you are not the type of person that the police want working for them. You can also impress the interviewer by showing knowledge of other roles within the organisation, and highlighting why the role you have chosen is the best fit for you. When answering this question, be careful. The worst answer that you can give here is, ‘I don’t have any weaknesses’. This will show a lack of self-awareness to the interviewer. They need to see that you are someone who recognises that there are always improvements to be made, and that you believe the police are the best organisation to help you do that. Obviously, don’t reel off a big list of weaknesses here. The key is to pick one weakness, and try to put a positive spin on it. For example, you could tell the interviewer that you sometimes struggle to delegate work, because you are a perfectionist. As long as you make sure to tell the interviewer that you are working on solving this issue, this will show them that you are someone who prioritises attention to detail and good work. If you pass the telephone interview, then you will be invited to attend the direct entry police inspector assessment centre. This consists of a series of days spent at a testing centre, taking part in various activities and tests, which will enable the police to establish your suitability for the course. The tests that you will take at the assessment centre are extremely difficult. Unlike most assessment centres, which take place over just 1 day, the inspector assessment centre is intentionally held over 2 or 3 days – to enable extra testing of the candidates. Remember, places on the direct entry course are extremely exclusive, and only the very best candidates will progress. What tests will I have to take? • Day 3. A half day of exercises. The tests are designed to reflect the work that real police inspectors will need to do, on a daily basis. This is particularly true for the event briefing, in-tray, performance management and values exercises. Having said that, not all of the tests will be based around real police scenarios. Some of the tests are simply there to test you on the necessary skills, rather than on your knowledge of policing. However, all of the tests have been designed around the core competencies required for the police, and the key behaviours that are connected with these. Below we have listed two such exercises. Stage 1: You’ll have 10 minutes to brief the individuals within the room about the scenario, and your solutions to it. Stage 2: You’ll have 15 minutes to answer questions from the assessors and role play actor, based on the briefing. What is the purpose of the Event Briefing? As mentioned, the assessment centre exercises are designed to test you on how well you can deal with common scenarios you’ll face in your career. As a police inspector, you can expect to be delivering very regular briefings. You won’t just need to give briefings to your staff – informing them on how you plan to deal with a particular issue, but also to your superiors, who will be working to determine whether you have taken the correct course of action. For this reason, an event briefing is a perfect way to test your skills. The next exercise that you will need to take, is a Written In-Tray Exercise. An in-tray exercise is a paper-based simulation, which is used to assess your organisational and problem-solving skills. You’ll be presented with a number of related tasks, such as emails, complaints or reports, and required to place them into an acceptable order/deal with them in a set manner. The assessors will judge based on how well you prioritise the tasks, and work through them in an efficient manner. The exercise takes 2 hours to complete. You’ll be provided with a set of documents, listing the tasks that need to be completed, and you will also be provided with a laptop – upon which you can write your responses to the tasks. The laptops will utilise the latest version of Microsoft Word, meaning it’s beneficial to familiarise yourself with this software beforehand. How does the In-Tray Exercise relate to the role? As you know, organisation is a key element of working as a police inspector. Police inspectors will have a huge number of things to deal with each and every single day, meaning that you will often be swamped with different tasks. The in-tray exercise is designed to assess how well you can deal with this. It is an attempt to simulate a specific situation. Typically, you play the part of the employee who has come in either first thing in the morning or to a first day in a job, and there is a list of activities and events that you need to tackle. A specific and detailed breakdown of every single core competency. Tips and tricks on how to link the competencies with your own experiences. Explanations on why every single competency is so important. Ideas on how to link individual competencies to other, and impress the assessors! A comprehensive overview of every single police inspector assessment centre exercise. Sample questions and answers, to put you ahead of the competition. Explanations on how to ACE the assessment tests. Top tips from experienced test-takers. How to apply the core competencies to the role and act as an exemplary professional! A full overview of what being a police inspector really entails. How to prepare yourself for the selection process ahead. Creating an eye catching and exemplary application form. Why the core competencies are essential and how they apply to the police. The differences between direct entry and normal application. Sample exercises and questions, to help you get to grips with the application process. A detailed breakdown of every application stage, to ensure that you pass!